OverDrive has released a new app called Libby! 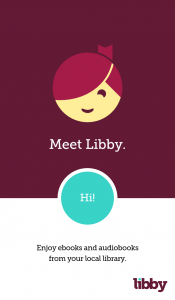 Libby is designed to make borrowing and enjoying eBooks and eAudiobooks easier than ever. If you love the current app, you can keep using it. If you have questions about the app, visit OverDrive's help page.